Several days ago, newcomers moved into a quiet cul-de-sac in Burlington's New North End. They don’t exactly seem like typical neighbors: The group of men rely on a portable toilet and appear to keep a lookout 24-7. On Wednesday, Sen. Bernie Sanders (I-Vt.) became the fourth presidential candidate in the current field to get U.S. Secret Service protection, joining Donald Trump, Ben Carson and Hillary Clinton. 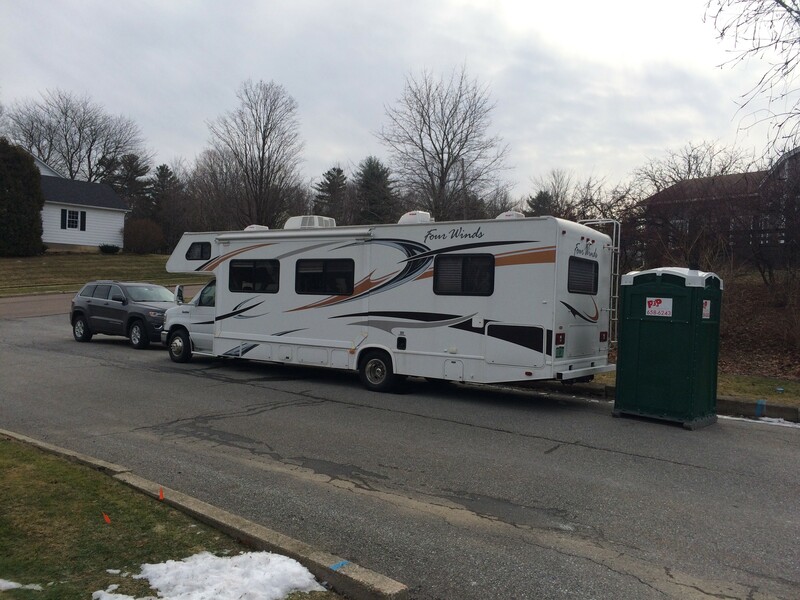 That day, Sanders’ Burlington neighbors noticed a new RV parked near his home. As the candidate travels around the Granite State ahead of its Tuesday primary, Secret Service agents are monitoring his modest, pale yellow abode. Untraditional toilet aside, residents say they are proving to be good neighbors. “They seem like really great people,” said another resident, who declined to give his name. The agents are less taciturn than one might expect. Neighbors say they introduced themselves door-to-door, handed out business cards and encouraged people to alert them to any suspicious activity. Neighbors have observed the agents coming and going in shifts. Two SUVs often flank the RV. Friday, a man sat in the driver’s seat of a third car, parked directly outside Sanders' house. The agents didn't seem flustered by a reporter taking photographs of their vehicles. A man exited the RV and extended his hand to a reporter. Dressed in jeans and a Carhartt-like jacket, he was clearly attuned to the local dress code. He politely explained he wasn’t authorized to talk to reporters and gave the number for the Department of Homeland Security's press office.